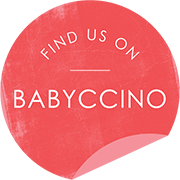 Clothes, shoes and accessories for babies and toddlers from 0 to 2 years. With high standards of design and material: pretty, simple, made of organic natural products and functional. Wooden box with geometric figures, made of wood that comes from FSC certified suppliers. The pieces are colored with all natural, eco-certified paints and are free of harmful chemicals. Packed in a beautiful paperboard box. Baby Body from Organic Zoo made of 100% ultra soft organic cotton, 150 gram. T-shirt from Organic Zoo made of 100% ultra soft organic cotton, 150 gram.